Most people understand the concept of a divorce, where you and your spouse will divide up your assets, address custody of the kids and make arrangements for child support and maintenance issues. Once a divorce is final, you're no longer married. Legal separation looks a lot like divorce with one big difference – you're still technically married, and neither of you are free to marry someone else. What's the Difference Between Divorce, Separation and Legal Separation in Oklahoma? Separation simply means living apart. You don't need to file court papers or have a legal reason to break up, you just need to make new living arrangements. Informal separation can last anywhere from a few days to several years. Legal separation, on the other hand, is more than just physically separating from your spouse or moving out of the house. It's an actual marital status that's granted by the court. The process of obtaining a legal separation is very similar to a divorce. You have to file a petition with the court, pay the filing fee, come up with a way of splitting all the assets and debts, arrange placement for the kids, negotiate parent time, and decide on child support and spousal maintenance issues. So, it's not necessarily easier, cheaper or faster than getting a divorce. The key difference with legal separation is you're still technically married to your spouse. This means that you cannot marry anyone else. You would have to convert your legal separation to a divorce first, and then wait another six months before you could get remarried. Why Do People Choose Legal Separation Over Divorce? You object to divorce for religious reasons. You feel you will be stigmatized by divorce in some way. You wish to preserve inheritance rights from a spouse. You wish to continue to file taxes jointly, which can lead to tax benefits you couldn't enjoy if you were divorced. You want some extra time to plan for a divorce. You wish to preserve the chance for a reconciliation. You want the non-insured spouse to remain on the family health insurance plan. After legal separation, some health insurance companies allow you to remain on the same health plan at the same cost, which is not possible after a divorce. For some couples, and especially if one of the spouses is self employed, unemployed or has significant health issues that would make finding alternative health coverage very difficult or expensive, this reason alone is enough to nudge them towards choosing a legal separation over a divorce. Another reason some couples choose legal separation is to give the breakup a trial run, so they can decide if a divorce is in their best interest or not. A Decree of Divorce is absolutely final in Oklahoma, which means you cannot change the property division once the case is over. Oklahoma separation laws are different, and you can change the terms of your agreement at any point during the separation. The court handles legal separations in the same manner as divorce cases, so the procedures and court forms are virtually identical. The only difference is, you don't have to meet the state's residency or wait-period requirements. By Oklahoma divorce laws, one of you has to have lived in the state for at least six months before filing the petition, and there's a 90-day waiting period after the petition is filed and before the court can grant the divorce decree. With a separation, you can file one day after arriving in Oklahoma and be granted your legal separation the same day. Most couples choose the "no-fault" option, which means you don't have to specify any reason for the breakup to get your legal separation. What Goes Into an Oklahoma Separation Agreement? Along with your petition for a legal separation, you will need to file a separation agreement with the court. This document describes all the terms of your separation, such as who gets which assets, who lives where, who pays which debts, who has custody of the kids, what the arrangements are for visitation and child support, and whether there are any spousal support payments. You can also write other rules in this document, such as restrictions on having dating partners when minor children are present. Ideally, you and your spouse will work together to write the legal separation agreement, and you'll each hire an attorney to help you. If you'd rather do it yourself, the best option is to download a template legal separation agreement from a reputable legal documents website. Just make sure it's valid in the state of Oklahoma. Agreeing to the terms of the separation upfront will streamline the process considerably. All the court needs is for both spouses to sign and notarize the agreement, and the court clerk will enter it into the court records. If everything looks to be fair and reasonable, the judge will approve the document and give you an order for legal separation. What if the Spouses Cannot Agree to the Terms of Separation? If you cannot agree to the terms of separation, your case becomes contested, and you will have to go before a judge to settle the unresolved issues. Now, the tedious process of discovery begins. 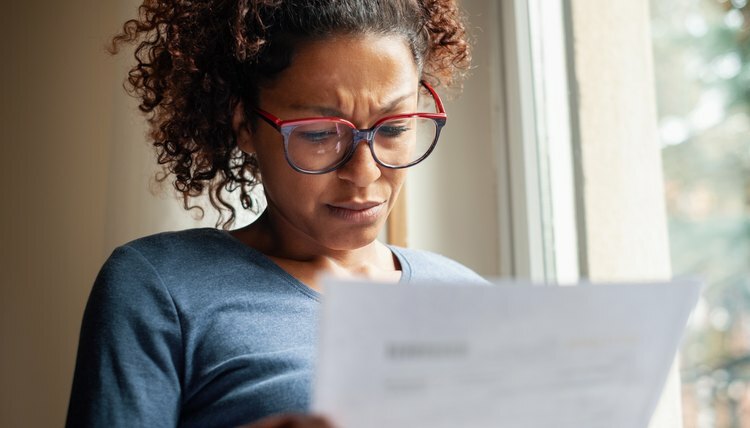 During discovery, you'll be asked to exchange paycheck stubs, bank records, tax returns, credit card statements and the like so the judge can see what assets you own and how everything should be divvied up. If you have children, you'll be asked a lot of questions about the children's needs, how you can meet those needs, and the quality of your relationship with the child or children. Ultimately, the court will decide who gets what and what is in the best interests of the children. Some judges will insist you to go to mediation, where a neutral third party tries to help you agree to the terms of your separation. In some cases, a legal separation can be as time-consuming and complicated as obtaining a divorce. How Long Do You Have to Be Separated Before Divorce in Oklahoma? Since Oklahoma recognizes "no fault" divorces, there's no requirement that a couple be separated before they file for divorce. In fact, you can amend a petition for legal separation to a petition for dissolution of marriage at any time. Divorce of Tulsa Law Office: What is the Difference Between a Divorce and a Legal Separation? Thompson, Jayne. "Legal Separation in Oklahoma." , https://legalbeagle.com/6374239-legal-separation-oklahoma.html. 22 October 2018. What If Your Spouse Contests the Divorce?